Crawley Town defender Josh Yorwerth has signed a new contract with the club. Yorwerth, who made 23 appearances in 2016-17, has agreed a one-year deal with the option of a further year. 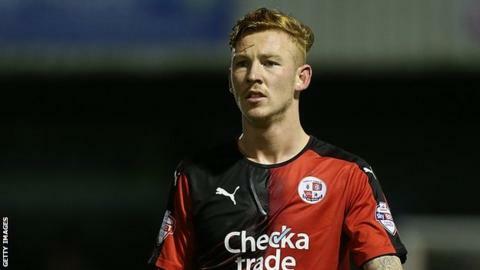 The 22-year-old told Crawley's website: "I'm delighted to commit my future to the club. I had a frustrating time last season with injuries but I thought I definitely progressed as a footballer. "I know from speaking to the other lads how determined we all are to achieve our potential and push on next season."